I've seen few of his films, odd for a film buff. I think my general aversion to violence contributes to my reticence. Nice mural, btw. Interesting post. But I wonder about the opening quotation. I agree that more than ever we need to talk to each other and interact. But cinema has never seemed to be a particularly good medium for doing this. At the end of the day it tends to be one person talking to us. I love Martin Scorsese as well except I wasn't too impressed with Shutter Island. One of my favorites has to be Goodfellas, it's one of the only instances when I've enjoyed voice over in a film. Oh, loved the Health Care rap in the previous post. meri - yes martin can go down that road in some of his films - but at least for me the way he uses violence gets me to start thinking critically of the bigger issues that underlie the violence that exists in the world. alan - i find that a good film can stimulate a great deal of discussion and interaction among people. there are people who only use the cinema to escape, but the potential for film to expand understanding and stimulate interaction is there. 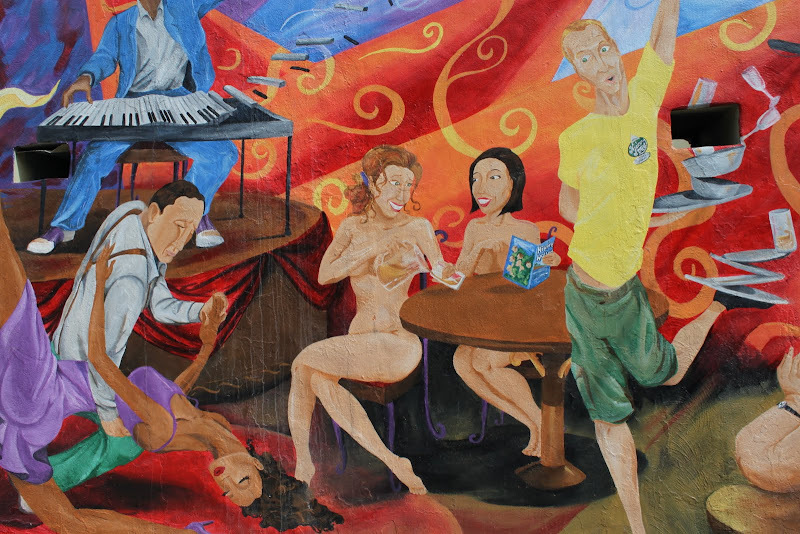 maybe I'm missing it but who created this fantastic mural and where is it?